For some reason everyone was playing cats today. 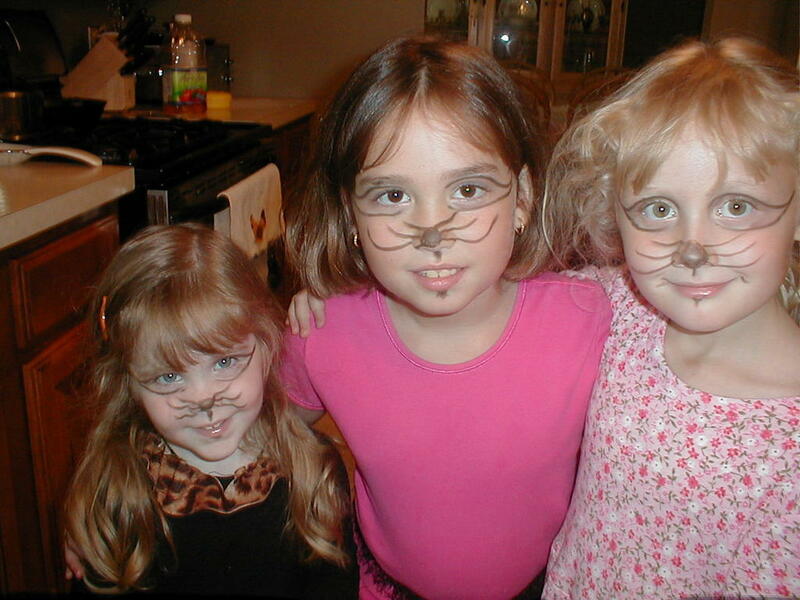 We ran out of cat-like clothing so we were reduced to mom’s makeup. Pretty cute little kitties I think.